« Will Gaddafi’s son be Libya’s new leader? At the moment there is a torrent of nearly unbelievable news about victorious offensives of the Syrian army and retreats of the Islamic insurgents and though I would urgently need to work in the garden I’m instead scanning (reliable) news sources and forums to find out what is happening. I would like to be a pacifist and intended to never endorse and cheer another military force after the remarkable victory of the Vietcong, but here I am, hoping for a victory of the Syrian Arab Army and its allied militias. This is an army who has endured for five and a half long years an undeclared but nevertheless massive and well organized invasion of ruthless terrorists, backed by the worlds only superpower, by NATO, the Gulf potentates, and Israel, who was outgunned, overpowered, grinded down, and who lost at lest 140,000 soldiers. An army who despite all these setbacks still is able to finally turn the tables, crushing, routing, wiping out the invaders, deserves my upmost respect and reference. The siege of eastern Aleppo was long in the works, though the intent was hidden. When a Syrian minister imprudently mentioned it, Russian foreign minister Sergej Lavrov instantly denounced the comment as just wishful thinking. A few month later, the Tiger Forces, advancing south from their positions in the newly conquered Mallah Farms, and the Republican Guard, moving north from the newly conquered Laramoun industrial area, have finally met and completed the siege of Aleppo. Not only that, they also have captured the Bani Zeid and Ashrafieh neighborhoods on the northern edge of Aleppo city, after the area was cut off from the main rebel territory and the insurgents fled to safety. 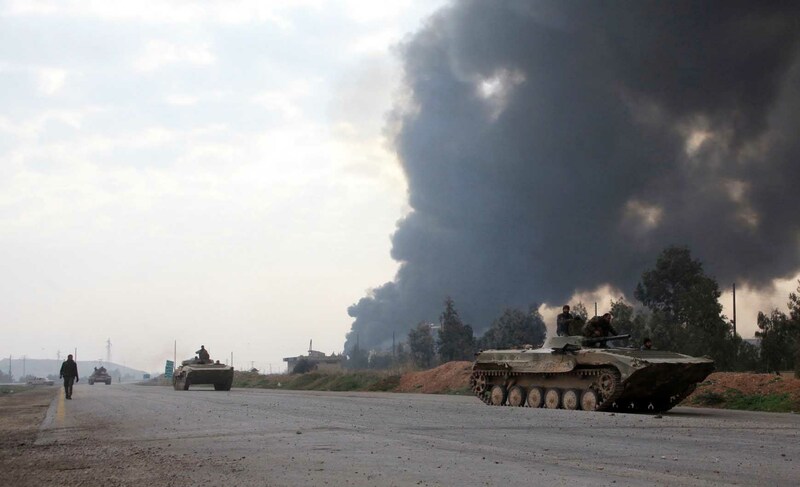 The Syrian military has begun clearing land mines and Syrian News Agency SANA claims that dozens of gunmen surrendered. No one would have thought, that this dense and crowded urban area would fall in a day. But there are no factories or farms and the main ammunition depot of the insurgents was blown up by an artillery hit. Cut off from supply, the ammunition and food reserves would have been used up in a few days. Facing complete annihilation, retreat was the only option and as the escape corridor was getting smaller by the day they had to hurry. The Syrian soldiers probably let them leave as not to prolong the fighting, because the insurgents surely didn’t march by unnoticed. Maybe the army had made an informal deal. A Fatah Halab spokesman blamed the Kurds in Sheikh Maqsood for the recent defeats. The Kurds have indeed taken some territory around the Youth Housing complex from the rebels in parallel with Syrian army advances. This seems to be justified because this complex was used for steady indiscriminate mortar and missile attacks on Sheikh Maqsood, causing many civilian casualties. The commander of the US-backed 16th Division and all his assistants have resigned and disappeared, probably fled. One can only hope that their example is followed by other rebel leaders. Interestingly, anti-tank missiles (BGM-71 TOW) were rarely used in the Mallah and Layramoun battles and one has to wonder, if deliveries have been stopped by Turkey or the US. 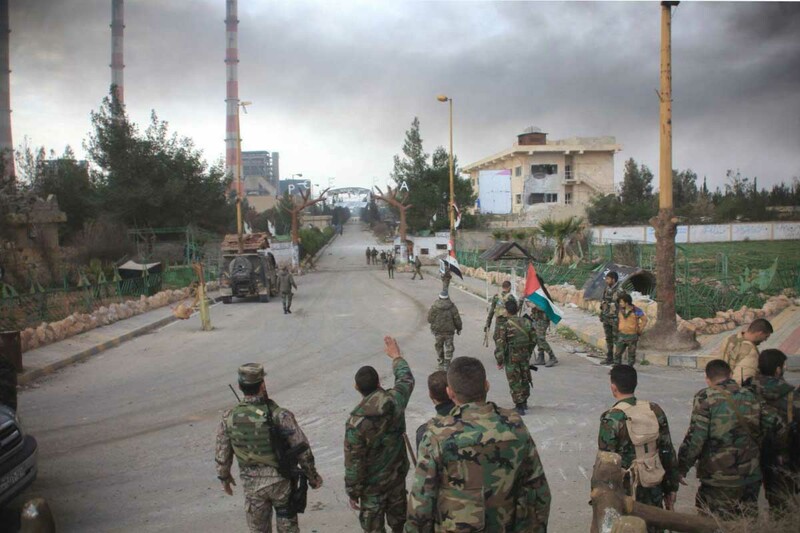 At the moment there is heavy fighting, as the Syrian army and the Palestinian Liwa Al Quds Brigade is trying to break into Handarat Camp (a former Palestinian refugee camp). Handarat camp is heavily fortified and a potential death trap for every attacker, because there is a network of tunnels leading to hideouts from where the defenders can mount ambushes and routs. As they did in Bani Zeid, the Syrian forces might instead of a frontal assault advance in the industrial area south of Handarat and cut it off from the main rebel territory, forcing the militants to retreat. The Liwa Al Quds fighters tried already several times to storm “their” camp and were beaten back with heavy casualties, but maybe this time they are successful, as the rebels will get no reinforcement and supply from outside Aleppo. Ammar Sha’baan, military head of Nour al-Din al-Zenki, which came to notoriety one week ago for beheading a child, is just reported to have been killed in Handarat. What in the world could the Islamic insurgents do to ward off disaster? The Islamists in the city are not as well equipped as those outside, and most of them do not move out of their little fiefdoms, so no significant counter attack will come from inside the city. 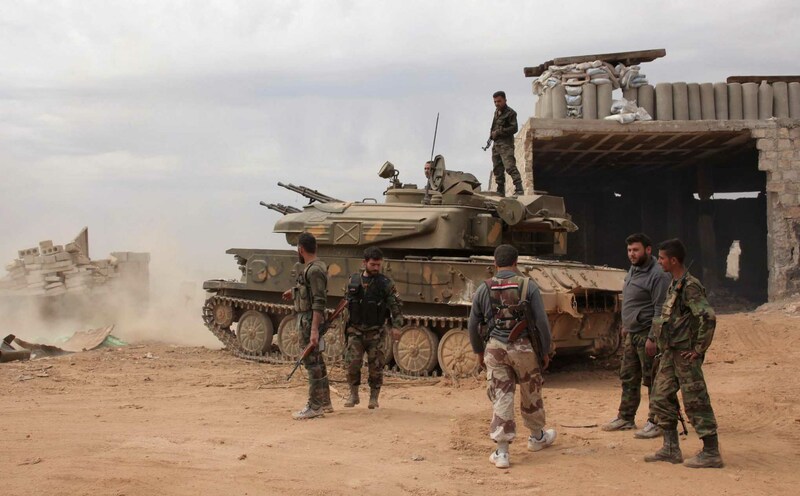 The outside forces have tried three counterattacks at the Mallah farms and failed, losing four dozens of armored vehicles and at least 600 fighters, thereby lowering the capacity of the North Aleppo forces. An attack on Southern Aleppo would be possible, but that front is quiet since two months. The Iranian militias have dug in, and the Russians are in the sky. The Islamists made some gains in this area, but it was a meat grinder, which depleted the Islamist’s storm troops before the Mallah Farm battle even started. Lots of knowledgable people at the time commented, that the attacks in Southern Aleppo would deplete the rebel reserves and leave them unable to counter a government attack in the north of Aleppo, and they were right. An assault on Al-Hadher is another option, though it has low chances of success. The rebels have also tried an offensive in Latakia as a diversion and failed. 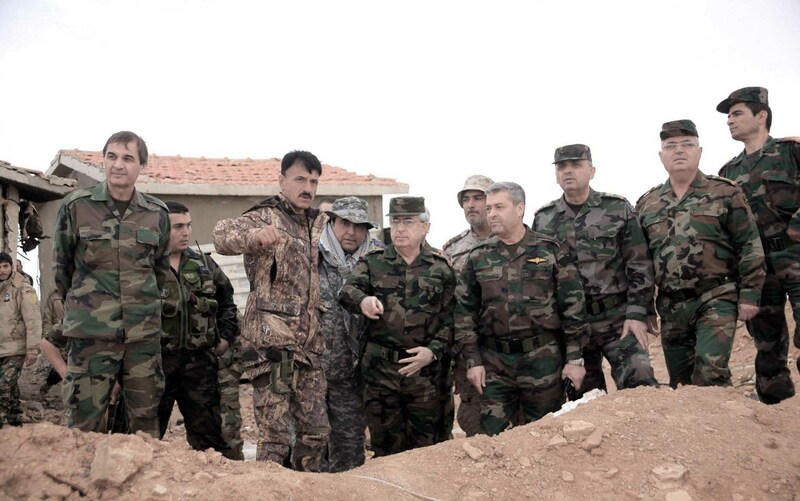 The Syrian army there, combined with the Desert Hawks, is competent enough to fight off the attacks. This front is also mostly a stalemate now. With the latest successes in the Mallah Farms and Bani Zeid, Major General Suheil al-Hassan, commander of the elite unit Tiger Forces, has reached nearly mythical status. From the Ariha battle in 2013, the Hama campaign in 2014, the breaking of the Kuweires siege in 2015, and now the Aleppo siege, his units were spearheading the offensives and breaking through the most heavily fortified enemy lines. 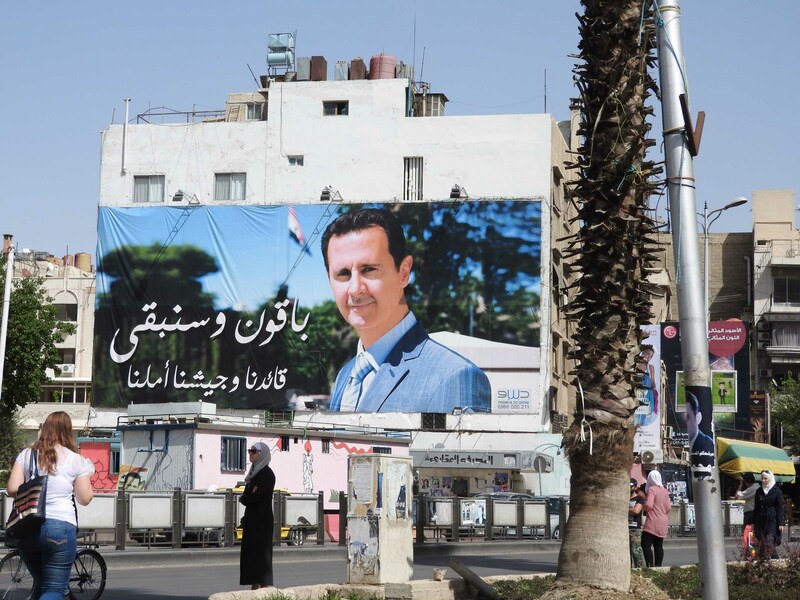 Insiders already asked, if he maybe will some day replace Bashar al-Assad, but one has to hope not, because he would rule with an iron fist and merciless crush any dissent just as Bashar’s father Hafez al-Assad did. He would maybe not be the right person to reconcile and heal a fractured and traumatized nation. This is probably the beginning of the end of the Syrian conflict and the Aleppo siege could very well seal the defeat of the insurgency. A victory will free massive forces to advance in other places and provides a huge base of operations to attack Iblib, Jabhat al-Nusra’s main base. A loss of Aleppo would also lead to declining moral, defections, more infighting, and disorganization in the ranks of the insurgents. Suicide bomber would maybe not come forward in the same numbers as now, because it is for sure less appealing to sacrifice ones life for a lost cause, even if 72 houris are waiting in heaven. Aleppo might fall by the end of the year or even earlier, if Turkey closes shop, and after that the dynamics of this war will change dramatically and the liberation of Idlib will be only a matter of another few month. The foreign jihadists and mercenaries will head back where they came from, while the homegrown insurgents will be exhausted and tired of fighting. They might feel abandoned by their commanders and hopefully will abandon them in return. What will come next after completing the siege? First, the troops should get some rest, because the number of elite units which can conduct offensive operations is limited, and the advantage of a siege is that one doesn’t have to do anything. Resting, digging trenches, building fortifications, waiting. It could of course also be, that the string of successes has energized the soldiers to continue pushing as the enemies defenses are collapsing. An experienced commander will know of course, how far he can go without wearing down the soldiers. Billardo and Ard Al-Mallah are probably easier to capture than Handarat and would increase the buffer at the northwestern part of the front. Also taking any nearby hill and high ground to preempt a possible counter offensive seems a prudent tactical move. As usual, the UN, NGOs, Western media, politicians, and everybody else who can catch a microphone or write a Twitter message, have warned of an impending humanitarian disaster in Aleppo. Even the European Union called for an immediate humanitarian pause in fighting to ensure medical evacuations and the delivery of medicine, food, and water into Eastern Aleppo. UN aid chief Stephen O’Brien asked the Security Council to push for a weekly 48-hour humanitarian pause in fighting to allow food and other aid to be delivered to eastern areas of the city. He was countered by Russia’s UN Ambassador Vitaly Churkin, who told the Security Council that by day people in the eastern areas of Aleppo can move to western parts of the city, “where the situation is significantly better“. As usual, “citizen journalists”, the SOHR (Syrian Observatory for Human Rights), and MSF (Medecins Sans Frontieres) reported that four or five hospitals have been damaged. A blood bank was said to have been destroyed too. One video was supposed to show a bombed hospital, but there were no damages visible at all, though there was a dust cloud outside the building visible from nearby fighting. Another video was supposed to document damage in a second allegedly bombed hospital, showing broken windows probably caused by a nearby blast. There was no evidence about the destruction of the blood bank. It seems, that Assad’s and Putin’s public relations advisers have learned from earlier crises and are working diligently to put in place counter measures, in fact resembling a humanitarian counter offensive. President Assad has issued a new decree, offering a general amnesty to armed opposition fighters who surrender within the next three months. He also urged to free all detainees and promised that those who set free their captives will be exempted from punishment if they turn themselves in within a month. Russian defense minister Sergei Shoigu announced, that President Vladimir Putin has ordered a “large-scale humanitarian operation” that will be launched outside Aleppo to help civilians as well as allow fighters who want to lay down their arms to surrender. “Moscow welcomes international aid organizations which operate in Syria to join the Russia-lead humanitarian operation,” he added. Fliers have already been dropped by Syrian aircrafts on eastern Aleppo, urging people to take the government’s offer of humanitarian corridors. Syrian TV also aired a call from Aleppo clerics, urging armed groups to drop their weapons. The army sent text messages to residents in eastern Aleppo, informing about the corridors and the amnesty. Recipients were invited to join the national reconciliation and expel the mercenaries. Temporary accommodation would be provided for those who could not move to friends or relatives. One “safe road” has already been prepared at Bustan Al Basha for Civilians and fighters who want to surrender, though at the moment the militants are trying to block the area to prevent civilians to reach it. Syrian government planes have started to drop Russian made food packages over eastern Aleppo. And if all this doesn’t help to empty eastern Aleppo from insurgents? The remaining population in eastern Aleppo is a mixture of hard line jihadists and their families, some civilians being kept as human shields, a handful of people staying for sentimental reasons or to protect their property, and many who are too old or frail to leave. When the deadline is over in November the Syrian army will probably apply the “Grozny strategy,” meaning leveling the remaining holdouts with massive artillery bombardments. Many buildings are so severely damaged that they would have to be demolished and completely rebuilt anyway. This “operation sledgehammer” will take just a few weeks, so the Islamists will have been finished off and the dust will have settled at Christmas. If Hillary Rodham Clinton is able to clinch the presidency, the Syrian conflict will have been decided at the time of her inauguration. Well, she may opt to start a “humanitarian bombing campaign,” nevertheless, just like George W. Busch started bombing Iraq and Barack Obama started bombing Libya, but she will have to bomb Russia too. One can only hope that some sane advisers at her side will prevent her from going this route, otherwise: May the lord or whoever is concerned have mercy on our souls. A ceasefire has been effective in Syria since February 27, 2016. New areas are still joining the ceasefire, which is monitored by Russia and the USA. 61 militant opposition groups in 16 populated areas have signed up to the agreement in the provinces of Latakia, al-Suwayda, and al-Quneitra. These areas open up to the possibility of negotiations, leading to subsequent disarmament and reintegration of rebel fighters, which in essence are non-military victories for the government. US Military contractors are now working inside Syria. Six3 Intelligence Solutions Inc., McLean, Virginia, was awarded a US$ 9,578,964 modification (P00001) to contract W564KV-16-C-0058 for intelligence analysis services. Work will be performed in Germany, Italy, and Syria, with an estimated completion date of June 29, 2017. Fiscal 2016 operations and maintenance (Army) funds in the amount of $6,370,000 were obligated at the time of the award. Army Contracting Command, Kaiserslautern, Germany APO AE, is the contracting activity. The Syrian Armed Forces have received a new batch of Russian combat engineering vehicles IMR-2M for supporting battle tanks. This is practically a tank with a bulldozer blade and a pick-and-place manipulator with a lifting capacity of 2 tons. Two SU-24M2 fighter jets have also been delivered, further 8 will follow. The ICRC (International Committee of the Red Cross) said it welcomed any respite for civilians but that departures must be voluntary and the safety of those who decided to stay must be guaranteed. France and Britain call for an immediate end of the “disastrous” Aleppo siege.